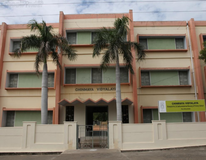 Find below the list of top schools in Chettipalayam - Coimbatore with phone number, address, 360° School tours, 2018-19 Admission forms & Fees, photos, facilities & more. The Avatar Public School is a wholly Co-Educational residential public School in Coimbatore established in the year 2012 endeavours to make a difference to your child's life. With rapid changes in lifestyles among today's Indians, it is important to strike a balance between age-old traditions and modern day outlook. Angappa CBSE Senior secondary school is a reputed Co-educational instution under the Angappa Education Trust . Affiliated to CBSE,Newdelhi. Our School has been selected by THE GREEN OLYMPIAD (authorised by CBSE) for national Environment Quiz among 32 schools Internationally. The Vidyalaya operating under Central Chinmaya Mission Trust, Mumbai, besides offering formal education through the CBSE stream, imparts value based education which extends a strong and effective moral foundation. 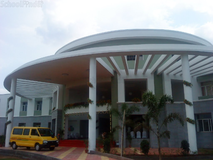 The PSBB Millennium Group of Schools, a recognized landmark in its pursuit of excellence in education, holistic development and human excellence, is deeply dedicated to the mission of building Global Citizens with Indian Values, with an emphasis on value education, and respect for our rich cultural heritage. Our focus will be to learn science with both broader perspective and deeper insight. They will be made to acquire good communication and leadership capabilities. Experiential and hands-on learning to gain confidence in problem solving in real-life situations. Vision: To strive for excellence in developing physical, mental, social, spiritual, and cultural faculties of the female children of India, particularly weaker sections enabling them to fight the challenges of life boldly. Mission: To sensitize the female students in physical, aesthetic, spiritual and moral levels. The school has a glorious history of over 48 years to its credit. It is counted among the top educational institutions in Tamilnadu not only in terms of academics but for its contribution towards producing global citizens. Currently over 4000 children study in various classes of the school starting from kindergarten to XII grade. Apart from excellent academic support, the children also have access to world class facilities and faculty for sports and cultural activities. Avila is an ISO 9001:2008 certified institution ensuring and enjoying zero-error Quality Management System. Are you worried about your child's admission to a school? Worried about interviews in the best schools in Chettipalayam - Coimbatore? All it takes is a little bit of planning and going for a lot of options, which can be found on Sqoolz's list of best schools in Chettipalayam - Coimbatore. The top schools in Chettipalayam - Coimbatore are registered with us. Find all their details - location, address, fee structure, facilities and more! Also take our virtual tour, a feature that gives almost a first-hand experience to parents.